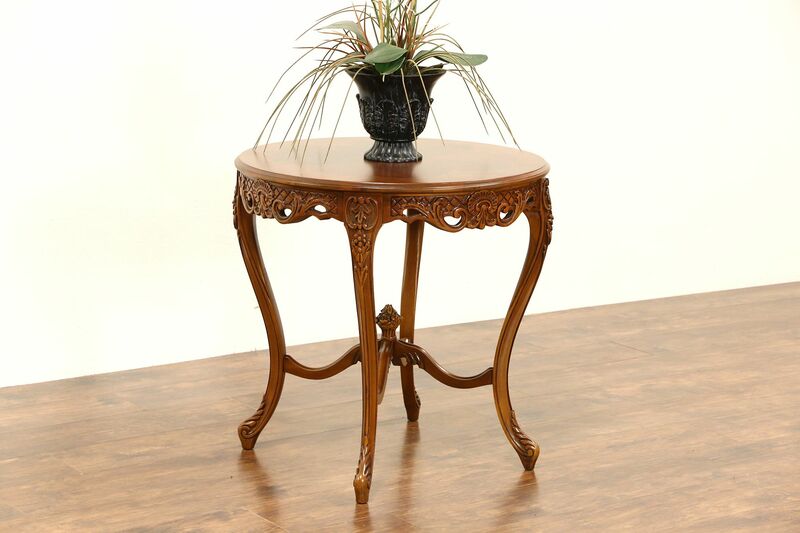 A round French style 1940's lamp or center table was carved and pierced and has an inlaid marquetry top. Maple, mahogany and satinwood have an excellent renewed finish on this American made vintage furniture. The trestle base and finial are graceful, the frame is tight and strong. Measurements are 28 1/2" diameter and 28 1/2" tall. See 19 photos that enlarge to full screen size.